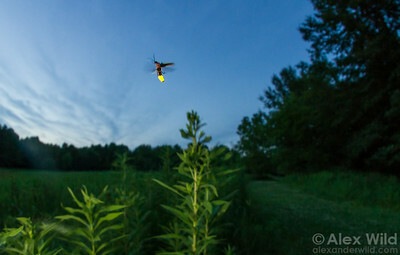 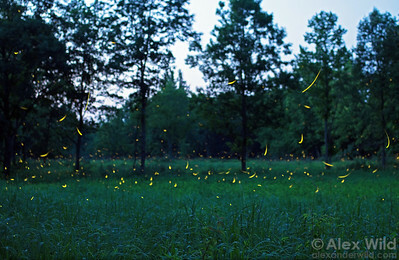 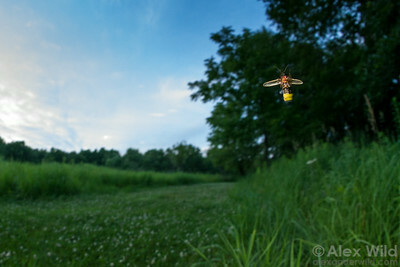 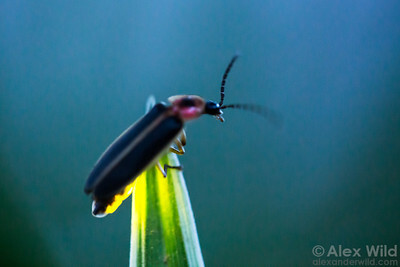 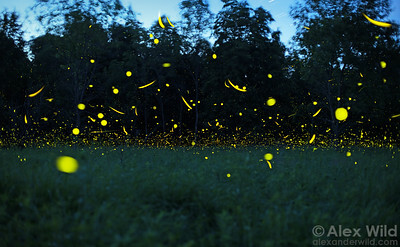 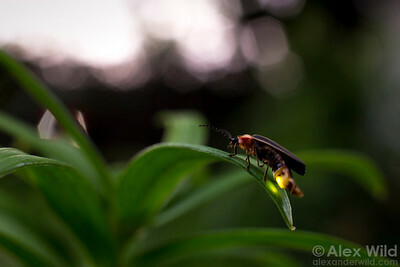 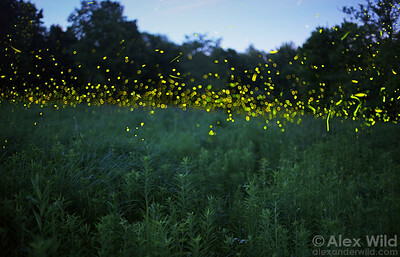 Photinus pyralis fireflies signal to each other at dusk in early summer. 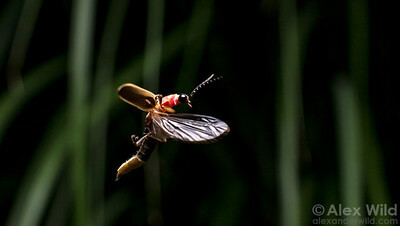 Males of this species draw J-shaped swoops while females signal their interest from the grass. 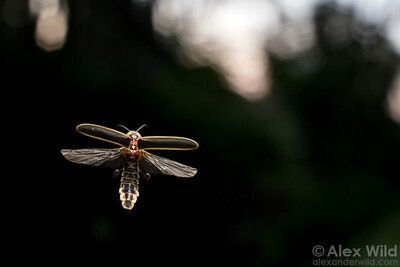 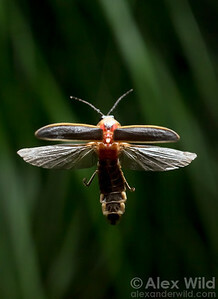 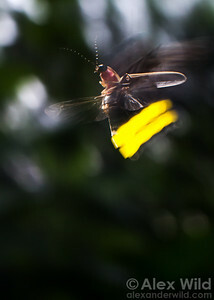 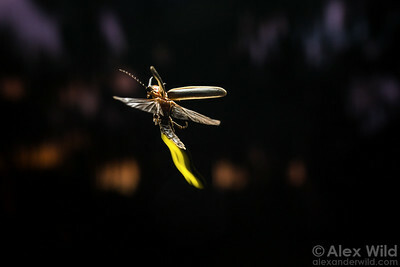 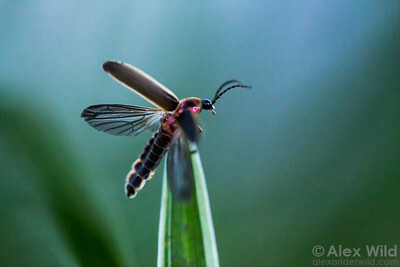 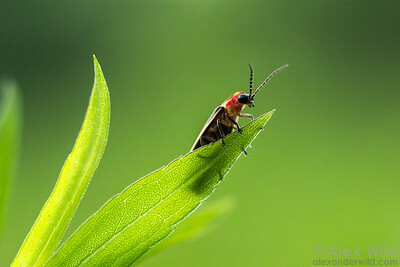 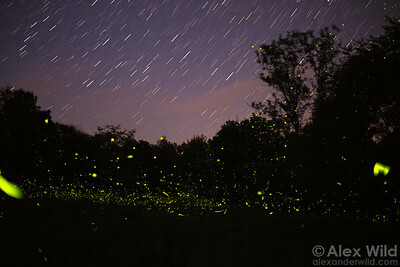 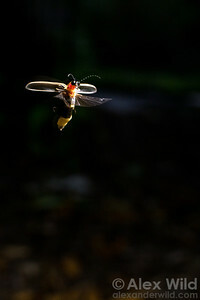 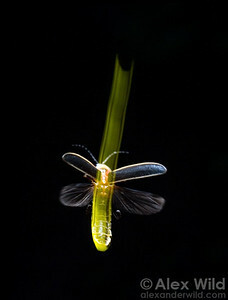 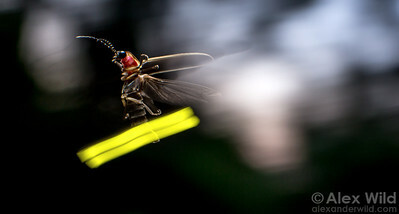 The common name "big dipper firefly" stems from this species' distinctive flight pattern. 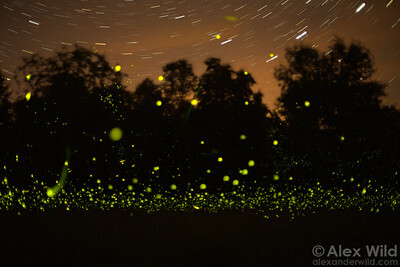 This photograph is a composite of long exposures taken over a 10-minute interval.